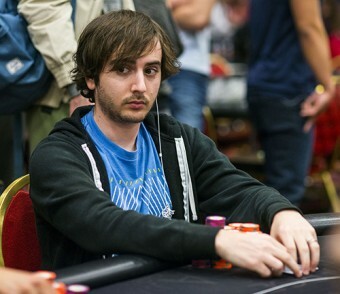 Daniel Strelitz has won the WPT LA Poker Classic for $1 million after dominating the event for the last four days. Strelitz was the chip leader at the end of Day 3, 4, and 5 leading into the final table and his constant aggression won him many pots uncontested as he played the role of perennial table captain. The next WPT events are the WPT Bay 101 Shooting Star from March 5-10. Then it’s WPT Rolling Thunder March 11-15 before the Seminole Hard Rock Poker Showdown starting March 31, followed by the Seminole Hard Rock Poker Finale from April 2. Strelitz topped a field of 521 players to win the first million-dollar cash of his career at Commerce Casino, and topped an impressive final table that included poker professionals Jesse Martin, Jared Griener, Richard Tuhrim, Simeon Naydenov, and WPT Commentator and Hall of Famer Mike Sexton. The 27-year-old poker professional currently lives in nearby Orange, California. His $1,001,110 prize includes his $15,000 entry into the season-ending WPT Tournament of Champions and the WPT Champions Trophy. The total prize pool was $5,001,600.